browserconnection.dll - Should I Block It? Warning 24 antivirus scanners has detected malware in various versions of browserconnection.dll. There are 15 versions of browserconnection.dll in the wild, the latest version being . It is integrated as a plugin to Internet Explorer as a Browser Helper Object, often without any obvious user interface, and will load for each instance of IE. The average file size is about 91.35 KB. The file is a digitally signed and issued to Bandoo Media by Thawte. 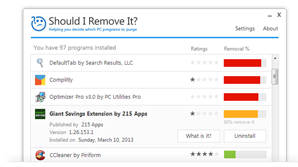 The programs Searchqu Toolbar, Windows Searchqu Toolbar and SearchCore for Browsers have been observed as installing specific variations of browserconnection.dll. Searchqu Toolbar is a browser add-on which adds various shortcuts and other buttons to your Internet browsers such as Internet Explorer, FireFox, Google Chrome. 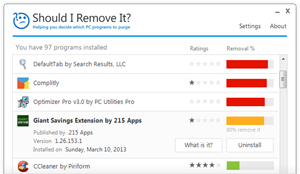 Some PC users may find such shortcuts useful but Searchqu Toolbar can be categorized as an unwanted program because it's deceptive ways of installation and not full uninstall procedures. When installed on your PC this toolbar by default will change your homepage to searchnu.com. Based on 40+ industry antivirus scanners, 24 of them detected the following malware. United States installs about 59.09% of browserconnection.dll.